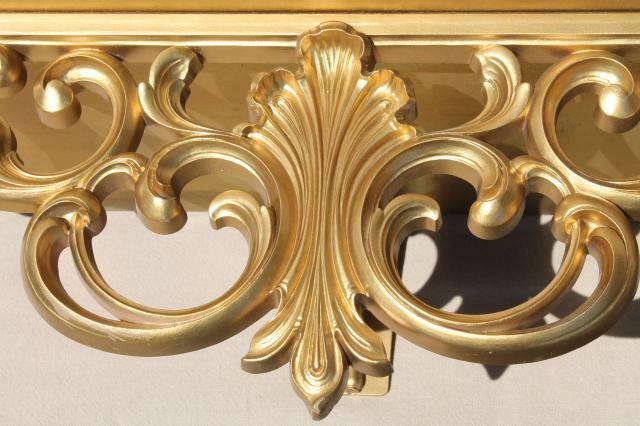 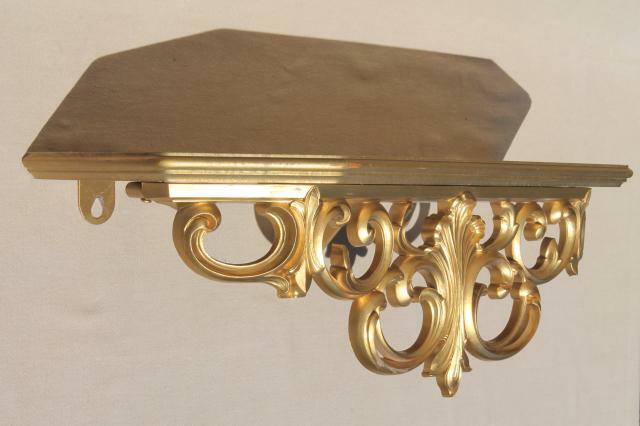 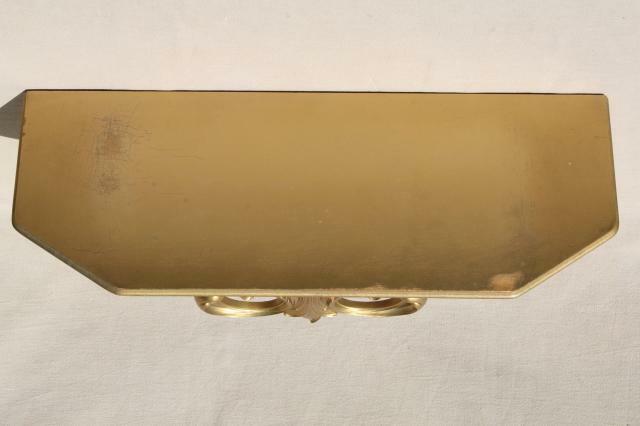 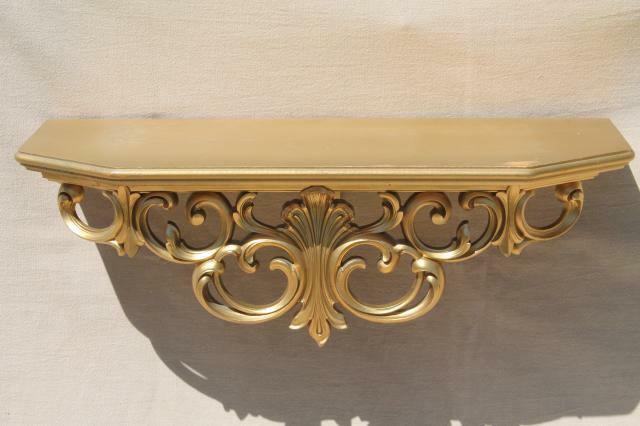 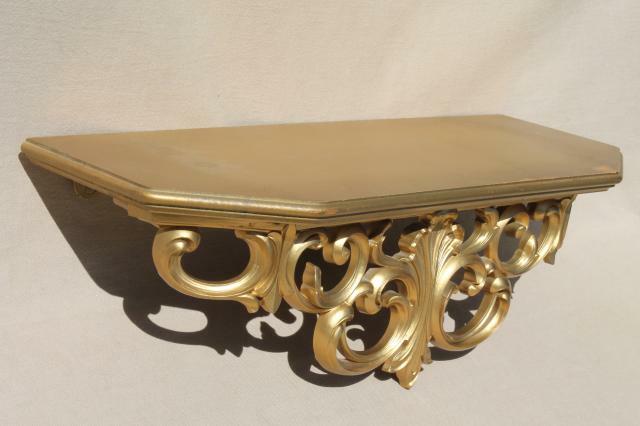 1960s vintage Burwood / Syroco type wall bracket shelf, all ornate gold wood composition and plastic. 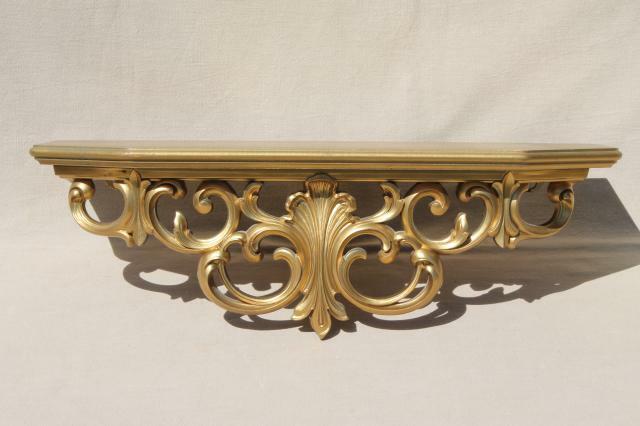 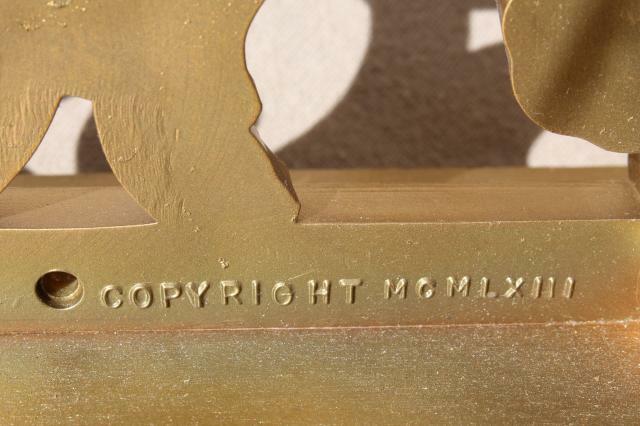 This is in very good clean condition, though there's a little finish wear to the surface of the shelf. 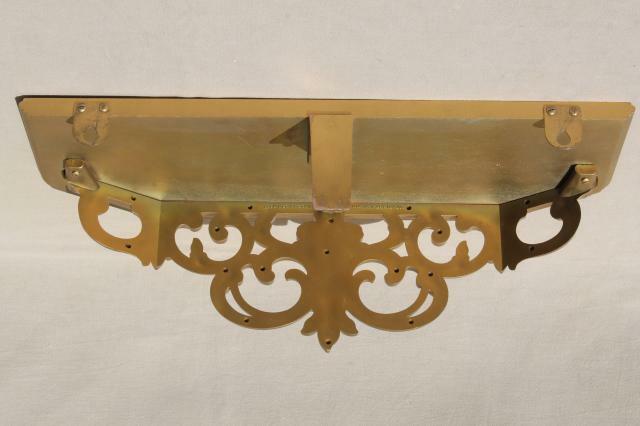 It's about 20 1/2" x 7 1/2" over the shelf.